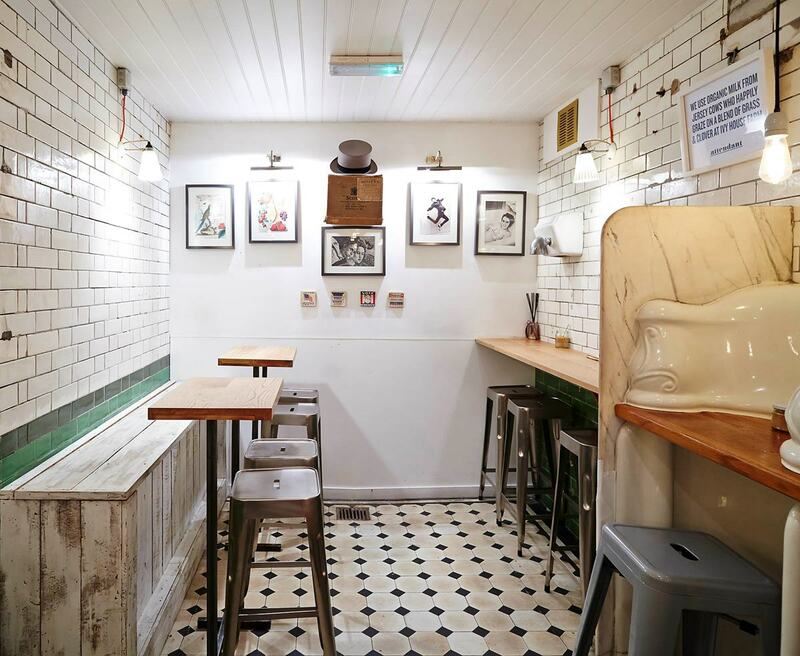 If we said our Unique Venue of the Month for March was a restaurant inside a public toilet, you would probably start to think we've (finally) lost it here at Hire Space. Well...our Unique Venue of the Month is a restaurant inside a public toilet. But it's not what it seems. Hear us out. 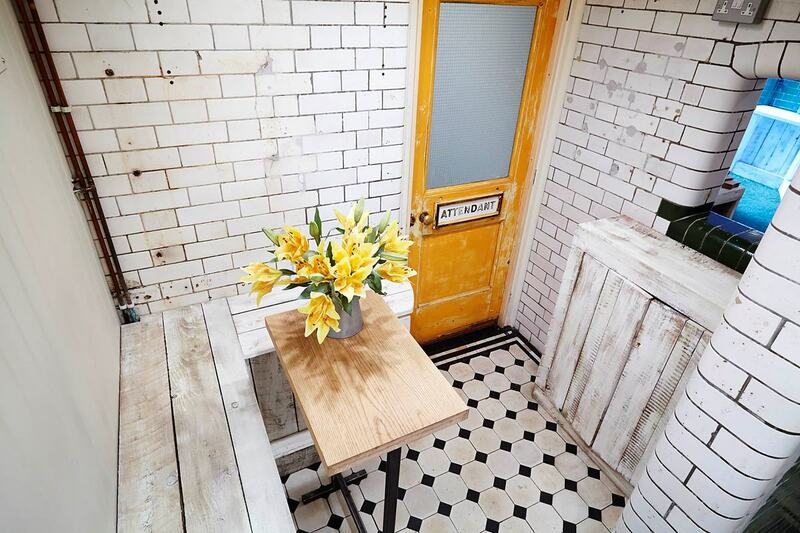 The Attendant was originally a Victorian public gents' bathroom in Fitzrovia, built in 1890. 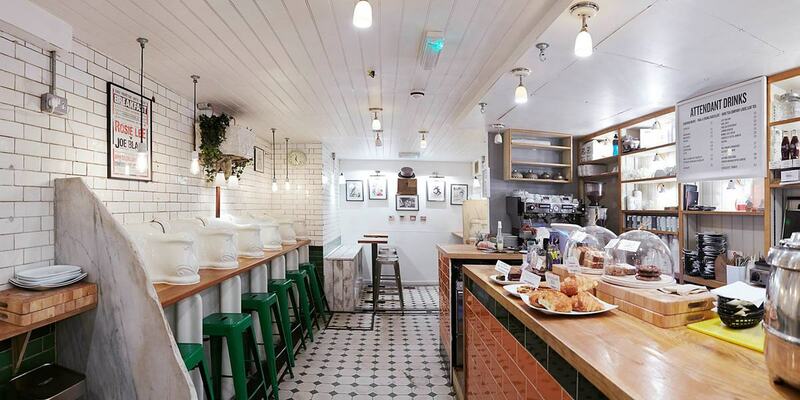 It was mothballed and made spick-and-span in the 1960s, and today charms as a quirky – and definitely unique – "espresso and food bar", a short walk from Goodge Street Station. The charisma and appeal of the restored restroom stem from the fact that the café still retains its original features: the Victorian floor tiles, the cast-iron entrance, and even the beautifully maintained (and shiny) porcelain urinals – manufactured in a Lambeth factory in 1890 – which now serve as seating cubicles of a "coffee bench". The team behind the unorthodox eatery prides itself in sourcing local ingredients for its gourmet breakfasts, brunches and lunches. Food is picked daily from Covent Garden Market, while espresso beans are roasted on site. This meticulous detail and care for food sources leads to delicious sandwiches, soups, sliced meats, breakfast muffins, granola and vanilla-dipped French toast – to name but a few of the specialty dishes. For a venue that'll fascinate and delight invitees, The Attendant is hireable for private dining, exhibitions and pop-ups, among other events. What could be more original than using it for your next film or photo shoot, for instance? Don't get it confused with the famously flabbergasting Modern Toilet restaurant in Taiwan. 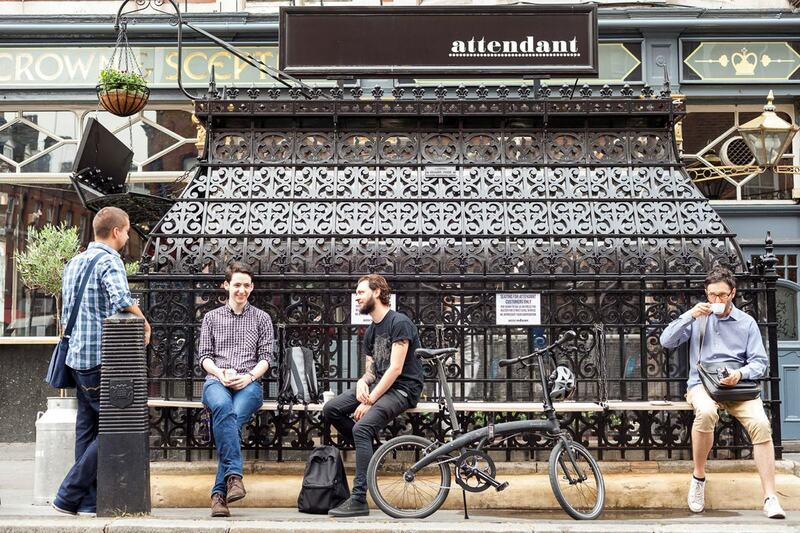 The Attendant is a classy venue with a two recent Runner-Up awards for Best Coffee Shop in London. 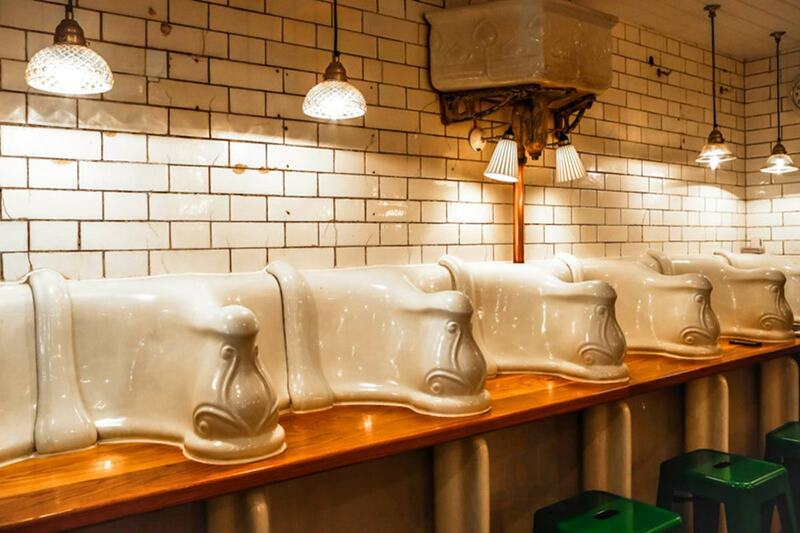 Pull up a urinal and take in the first-rate food and Victorian vibes.